Formulated especially for children in India by Pediatricians, Chubears is the first of its kind Organic 100% Vegetarian Chewable gummy (jelly toffee) for children, with CALCIUM + VIT D + Phosphorus. The supplement is now available on Chubears website & Amazon.in store, and can also be ordered by calling/WhatasApp at +918010777722. It is extremely important that children have a balanced nutritional diet that provides them with all the essential vitamins and minerals necessary to grow and stay healthy. Unfortunately, in most cases, today’s highly processed convenience foods lack in nutritional value which is having a negative impact on children’s healthy development. 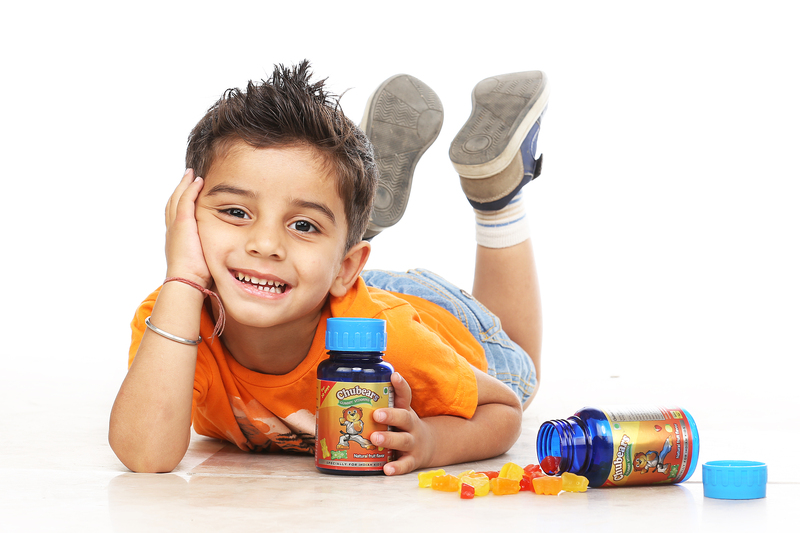 Calcium and vitamin D deficiency is extremely common in India, especially among the children. Vitamin D (also known as the sunshine vitamin) and calcium help build strong bones and teeth. Deficiency of vitamin D is widely known to harm the bones, causing them to become thin, misshapen, soft and weak. Vitamin D also plays an important part in a healthy brain, immune, heart function and much more. A lack of the vitamin D and calcium can lead to health problems such as rickets, osteoporosis, cardiovascular diseases, diabetes, cancer and infections. Doctors and health experts believe that the main cause of this highly prevalent Vitamin D deficiency may be due to a lack of sun exposure as more and more people shun the sun and stay indoors or wear sunscreen outdoors. Aalso vegetarian diet and the lack of vitamin D fortified foods can add to Vit D deficiency in India. To overcome this problem, pediatricians recommend daily CALCIUM + VIT D supplements. One of the best things about the range of Chubears Chewable gummy supplements is that it is not only delicious it is also suitable for vegetarians, unlike gelatin used in most imported gummy vitamins that is obtained by boiling the bones of cows or pigs (Ref: PETA). Furthermore, the Chubears supplements do not contain any Gluten, Gelatin, Fat and Dairy, and are therefore suitable for children with allergies and asthma as well. The company assures that all Chubears supplements capture the natural goodness of fresh fruits and vegetables, which are far away from any side-effect when consumed in the daily recommended dose.